Thank you! We will be contacting you shortly to complete your booking! Nestled between the Pacific ocean and sierra La Laguna mountains, Las Palmas Tropicales Is just steps from the beach and is over looking the world class San Pedrito surf break, one of the best brakes in southern Baja. Located in the small town of Pescadero we are just a 5 mile drive south of To Dos Santos the small quaint artist community. Enjoy an abundance of natural light and classic french doors that lead out to your own private terrace where you can sip your morning coffee while overlooking our botanical garden. 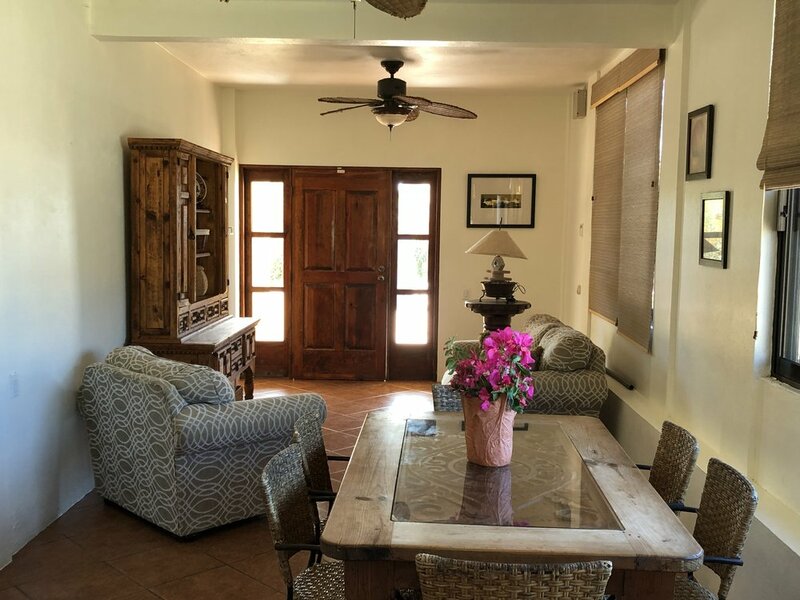 Ideal for a small family, this two bedroom casita brings comfort and a sense of home to your Baja vacation. Enjoy personal sitting areas and a kitchenette in one of our most private casitas, complete with terrace and BBQ area. Don't be fooled by the serene beaches in this paradise. Many travelers make Pescadero their private playground with surfing, ATVing, horse back riding and more. Want to make reservations? We can help. 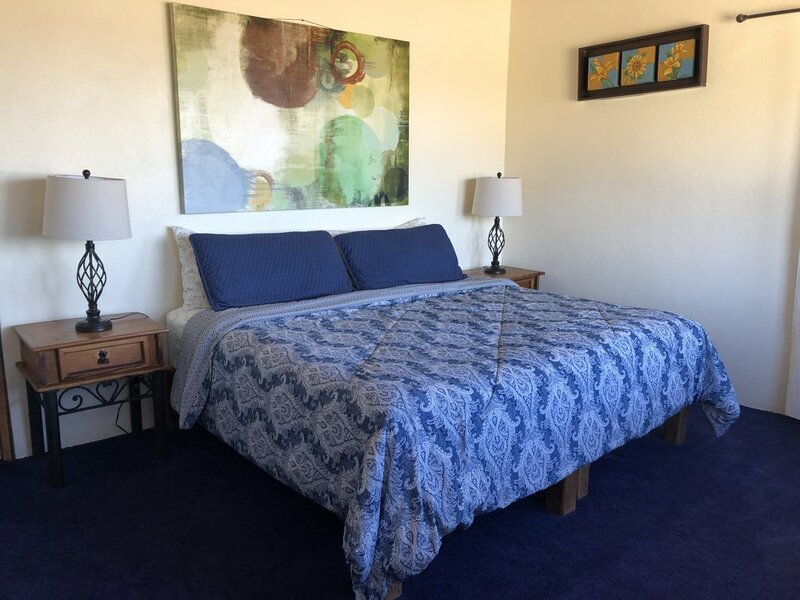 Our Pescadero beach house was made to be your private home away from home. 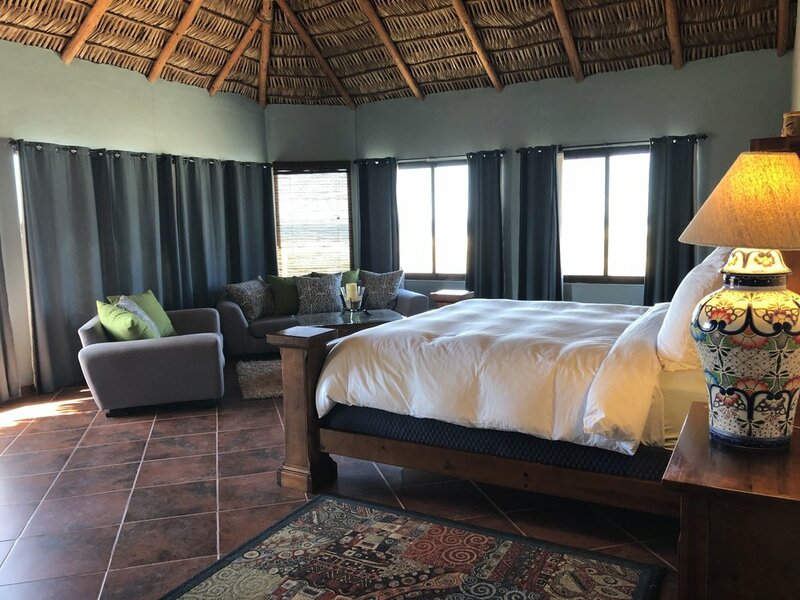 Ideal for special or occasions or just to get away from it all, we've provided everything you need for your relaxing stay in paradise. One of the greatest things to do in Baja is eat, and there's no better place to find fresh, organically sourced traditional and gourmet cuisine. Whether you're a foodie at heart or simply enjoy some "good eats" on your vacation, you'll find an impressive selection of restaurants in the Pescadero and Todo Santos area. Click here to inquire about our availability or to ask any questions you may have about your stay. If you are booking with a larger group or have any special requests, don't hesitate to ask. We are here to make your experience unforgettable! 044 624 191 2878 • Calle Argentina 2, San Pedrito, 23310 Pescadero, B.C.S.